Whether you’ve been told spinal fusion is an option, or you learned about this procedure during your own research, you may be wondering if you need this surgery. 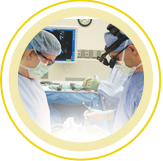 Who is a candidate for spinal fusion? If you have a condition that causes back pain, chances are you will try medication, physical therapy, injections, and other less invasive treatments before considering back surgery. A spinal fusion is an option for someone with degenerative disk disease, spondylolisthesis, spinal stenosis, scoliosis, or a fracture. If you have a moderate to severe curve in your spine from scoliosis, or experience symptoms including difficulty breathing or pain doing daily activities, spinal fusion surgery may be your best treatment option. The goal of spinal fusion surgery is to stop motion between certain vertebrae so that the vertebrae can’t cause pain because they aren’t moving. The surgeon can operate from the front, from the back, or from the side. Small pieces of bone are placed in between the vertebrae to be fused, and damaged or painful disks can be removed during the procedure. The bone graft can be harvested from your hip, can be harvested from cadaver bone, or can be made from artificial material. 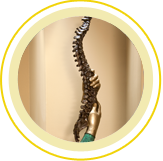 Your back surgeon may use plates, screws, or rods to hold the spine in place as the vertebrae heal together into solid bone. You may need to wear a back brace after the procedure to keep your spine stable. After the surgery, you may stay in the hospital for several days to make sure you stay still while your back heals. You will have prescribed medication for pain relief at the hospital and at home. Your spine must be kept in proper alignment while you’re healing, and you’ll be taught how to sit, stand, and walk properly. You may work with a physical therapist to regain strength and slowly increase your activity level. To learn more about spinal fusion surgery and other treatment options for back pain, contact the Spine & Scoliosis Specialists. You can with our back doctors at our Greensboro or High Point offices. This entry was posted in Back Surgery and tagged back surgery, spinal fusion surgery. Bookmark the permalink.